YouTube is the most famous video hosting and one of the most popular websites in the world. Such success that YouTube has, is achievable due to its convenience and simplicity of use. But downloading videos or music from the website is not provided. Of course, saving multimedia content with standard tools is not a hopeless thing, but not every user can do that. So is it possible to get videos from YouTube and create a video collection on PC? Is there the fastest way to save YouTube files in the best quality? To solve this problem you can install special apps designed specifically to work with YouTube content or you can use YouTube music video downloaders online. The commercial downloading software is very effective. It manages any web video and audio files with no sweat. But you have to pay for its features and options as well as to prolong your subscriptions after certain periods of time. Online YouTube music downloaders are free web services that easily save multimedia content to your computer. Some websites can also convert illegible or hardly legible formats into appropriate ones. YouTube video downloader online, YouTubNow, fixes all issues that may occur with online downloading as one-two-tree. You can use it for multiple YouTube downloads as well as for one time saving. You can choose different video formats and resolutions to your taste, launch it in any browsers and on any OS. You don’t need to install any additional browser extensions, plugins or add-ons. This service is very compact, fully featured and easy to use. Copy and paste a YouTube URL or type in a video name or keyword. Select a video format and resolution. If you provide a YouTube link the downloader will immediately find exactly what you need. You should only adjust the video quality and hit Download. The downloading process will start automatically and will last just a couple of seconds. If you search your video by a keyword or name you will get multiple results. You should sort them out, choose proper one(s), set up the quality and press the Download button. According to its name ClipConverter.cc is a media conversion tool that works with media URLs and allows to save video and audio content in different formats. You can edit files selecting a proper area in the track. 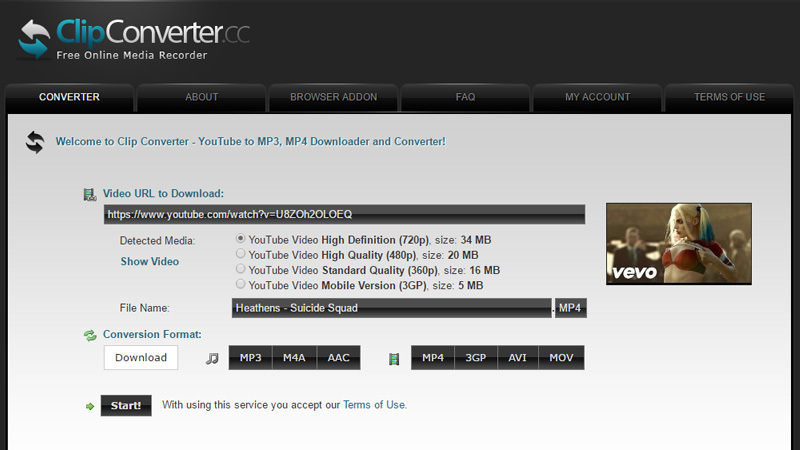 You can use this converter for multiple websites such as YouTube (HD, 720p, 1080p, 4K quality), Vimeo, Facebook, etc. It supports such conversion formats as MP3, M4A and AAC for audio and MP4, 3GP, AVI, MOV, and MKV for video. ClipConverter.cc carefully filters results, so downloading copyright content is not possible. This solution is quite good for downloading multimedia content but only if you have a video URL. If you want to get only a favorite soundtrack from a famous movie use ConvertToAudio.com. It’s very simple and doesn’t require any efforts or skills. Add a video URL to the appropriate field, select a format you would like your file to be converted into (MP3 is on default but you can select .aac, .m4a, .3gp, .f4v, .mp4, .webm), set up the sound volume if required and press the Convert it button. There is a bookmarklet for the most comfortable use. ConvertToAudio.com works with such portals as Facebook, Vimeo, YouTube, Dailymotion, SoundCloud, Instagram, and others. It supports the cloud storage, you you can directly save your files to Dropbox and OneDrive Cloud. ConvertToAudio.com is available on any devices from mobile to desktop, for iOS and Android. Online Video Converter offers you 7 audio as well as video formats (MP3, OGG, AAC, FLAC, WMA, WAV, M4A, MP4, AVI, MOV, MPG, MKV, FLV, etc.) for saving YouTube content. It supports any devices, is available in multiple languages and works with different websites, not only YouTube. So downloading from Facebook, Dailymotion, Vimeo, Instagram and many others is not a problem. Online Video Converter is compatible with all popular web browsers and offers high-speed conversions. You don’t need to register nor provide your login details. Just paste a link, choose a format, set up the audio quality if necessary and click Start. You’ll get your file in a moment. 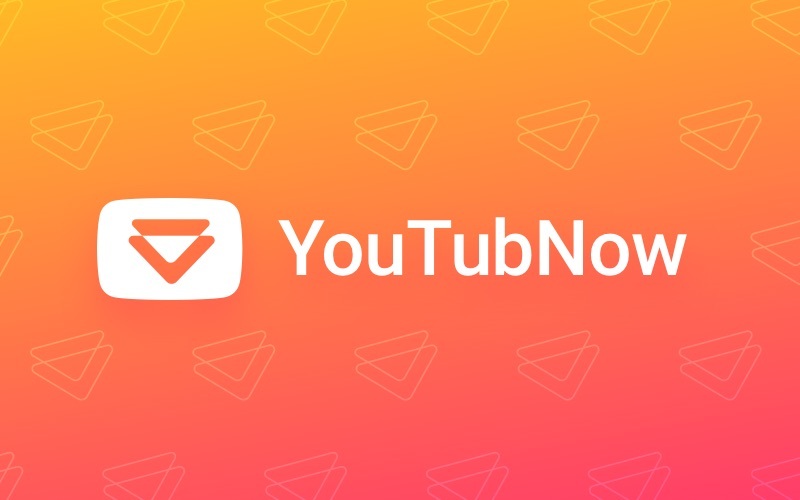 It’s a simple YouTube downloader that quickly converts videos from YouTube, Dailymotion, and Clipfish to different formats. For audio files you can use MP3, M4A, AAC, FLAC, OGG, WMA. Videos can be converted into MP4, AVI, WMV, and 3GP. 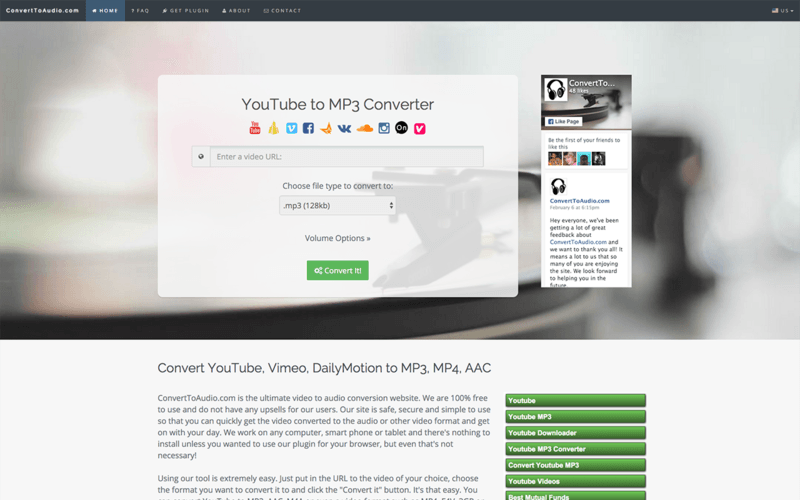 Convert2mp3.net also searches videos through YouTube video collection by a title or keyword and offers instant downloading. The only drawback is the time restrictions that it has for some formats, such as AVI. So if you want to save long videos choose the second format. The service functions in German, but you can switch to English clicking the icon above. Convert2mp3.net is easy, quick, and requires no registration. As you see, YouTube music downloaders free online easily cope with downloading, converting and even searching tasks. They quickly find the right media files for you and instantly save them to your hard drive. YouTube music downloaders free online mp3 successfully combine different technical features to deliver the video as well as audio content in various formats. Choose the tool that fits you best. Use the biggest number of benefits that today’s technologies offer. Get all possibilities that the YouTube channel has and enjoy its movies, shows, webinars, master classes and other content to the fullest extent! What Are the Best YouTube Downloaders for 2018?